Obin, Philome Born in 1891 in Cap Haitien. 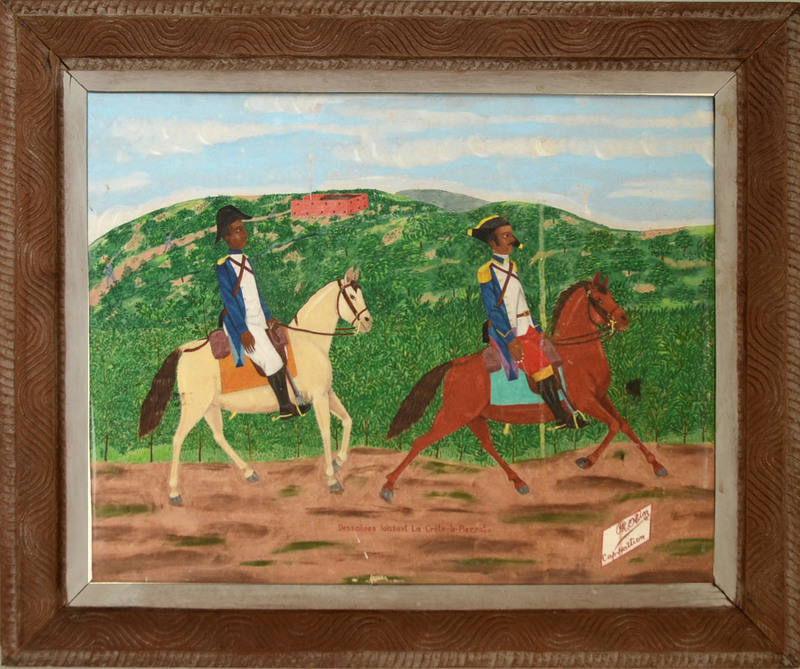 Painting for twenty five odd years without an audience, or sales, he, next to Hector Hyppolite, may be called one of the oldest and founding father of Haitian painting. A descriptive self-taught painter, painting things exactly as he sees them, his charm lies in the subtle distortion that comes with the failure to “carry out the rules.” He joined the Centre in its opening year, 1944, and success, though late, did not change his way of living or style. Philome is represented by two murals in the Episcopal Cathedral and a painting in the Museum of Modern Art in NYC. 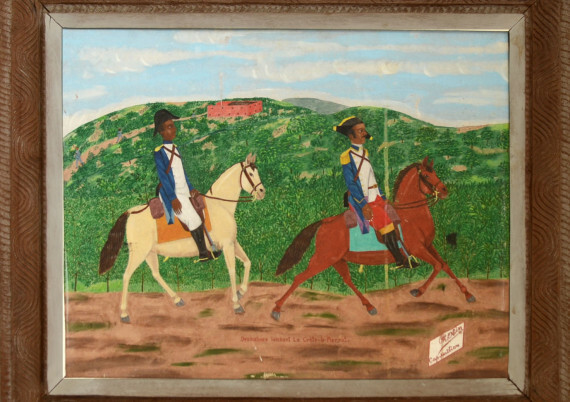 He is a star in every important Haitian collection.